We tend to think of a “sanctuary” as a physical place of worship, a building where we take ‘sanctuary’ from the world. But in reality, the real place of sanctuary is the human heart. When we make the interior journey, we can worship and pray anywhere, because God lives in our hearts by faith when we have trusted Jesus as Lord and Saviour. The church still is important, of course, because it is this community for which Jesus died, and about which his Spirit is passionate to build into. This message begins a series on growing in holiness, and we begin by looking at God’s holiness in Isaiah 6.1-8, and then explore the value of worship, and prayer (based on Philippians 1.3-11). You can listen to the message by clicking here; the video shown near the end can be watched here. It’s Ash Wednesday, but Sunday’s comin’! Today is Ash Wednesday in the Christian calendar. It’s a “moveable feast”, meaning its timing is always tied to Easter (which fluctuates by the moon – a story for another day!). Ash Wednesday occurs 40 days before Easter – excluding Sundays – and marks the beginning of the Christian season of Lent. In Presbyterian circles, not much has been made of Lent over the course of its history, for the very reason I mentioned above: the season excludes Sundays. Reformed Christians were never big on celebrating the Christian year anyway; talk to some older Scots, and you’ll find that in the extremes, even Christmas wasn’t recognized as such in the church. The church year is a human construction, after all, but it can be helpful for many believers who like to have some structure to their personal and corporate spiritual life. I celebrate Lent in my devotional life, but it doesn’t get much more than a wink and a nod from me on Sundays, because if you count the 40 days between Ash Wednesday and Easter Sunday, you’ll find that it only adds up to 40 if you don’t count the Sundays. Each Sunday is a celebration of the resurrection – a little Easter! So we don’t stop singing our hallelujahs and the like for the Sundays in Lent, because those Sundays are havens from the penitential nature of the season. To those who give up things for Lent I’m prone to ask, Is it drawing you closer to God? Because if it is, it would make good sense to give it up permanently! Lent can be a season that allows us to step back and consider our relationship with God, and what may be keeping us from growing in that relationship. It can be a very meaningful observance. But it should not involve somber, joyless Sunday worship gatherings. We may be entering Lent, but the tomb is still empty! By the way, if you’re looking for a nice meditation and an interesting family activity to begin the season of Lent, check out Ann Voskamp’s blog here. The closing verses of the apostle Paul’s letter to the Colossians include quite a variety: some controversy, some advice, and some greetings. Strangely, these all tie together! In this message we look at Colossians 3.18-4.18 (in three different sections). You can listen to the message by clicking here. Don’t be like your smartphone! One of the things I’ve learned about the batteries in devices like smartphones is that they hold their charge best when they are periodically allowed to be completely depleted. So I found excuses to use it last night so that I could bring the charge level down below 5%, so that when I plugged it in at bedtime, it would get a complete charge. Wait a minute, Jeff, I hear you thinking. This is Encouragement From The Word, not Cellphone Technology 101. And you’re right. But this little exercise in electronics reminded me that the way I treat my phone is not how I treat myself. We don’t work the same way! I know a lot of people who run on empty, to mix my metaphors a bit. They let their physical, emotional and spiritual batteries get dangerously discharged. And by the time they get around to an attempt at recharging – through vacation, or a spiritual retreat, or some counselling or the like – the damage has already been done. We were not designed to function like lithium ion batteries. We need topping up – recharging – as often as possible. It’s the way God designed us. We were designed to have a day of rest and re-creation every seven days. We were designed to be emotionally recharged with the company of good friends and loved ones as often as possible. We were designed to be refreshed in spirit not just weekly, but daily. It’s what helps us understand the abundant life that Jesus promised us: “life to the full” (John 10.10). You take a few minutes out of your Friday to read Encouragement From The Word, and I’m glad you do. Take a few more minutes today, will you? Take some time to do a diagnostic test on your physical, emotional and spiritual ‘battery level’. Where are you at, right now? What needs recharging? What can you do today to recharge it? 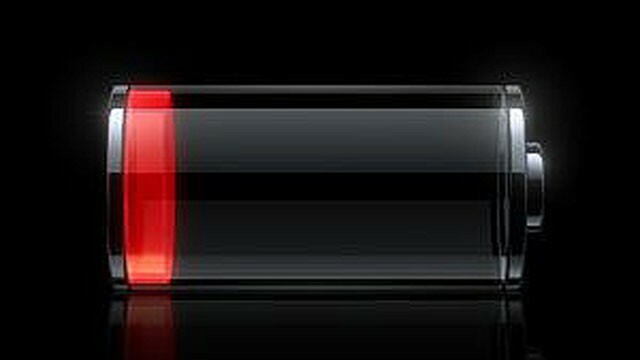 Don’t try to be like the battery in your phone, which benefits from complete depletion. Be recharged daily! “The thief’s purpose is to steal and kill and destroy. My purpose is to give them a rich and satisfying life” (John 10.10, NLT). Are you fulfilling Jesus’ purpose for you? Do you have a rich and satisfying life? Be recharged today!